UFO SIGHTINGS DAILY: UFO Follows Space Station On Live Cam! Dec 29, 2016, Video, UFO Sighting News. UFO Follows Space Station On Live Cam! Dec 29, 2016, Video, UFO Sighting News. This video was taken by the space station live cam and shows a UFO below the space station. 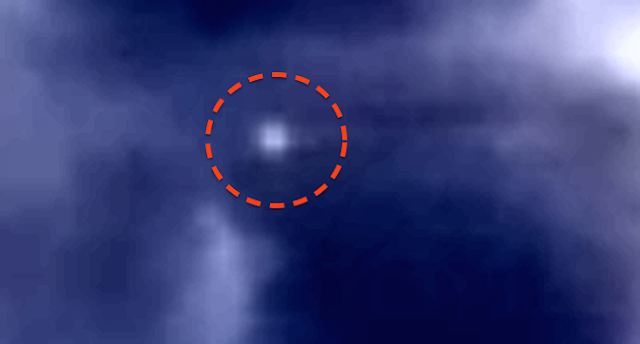 The UFO has perfectly matched speed with the station and as the UFO shoots through the clouds below, sometimes it drags some of the clouds behind it in a trail. This is a UFO. Amazing capture by Joshua Blake of Youtube. VIDEO DELETED FOR UNKNOWN REASONS.